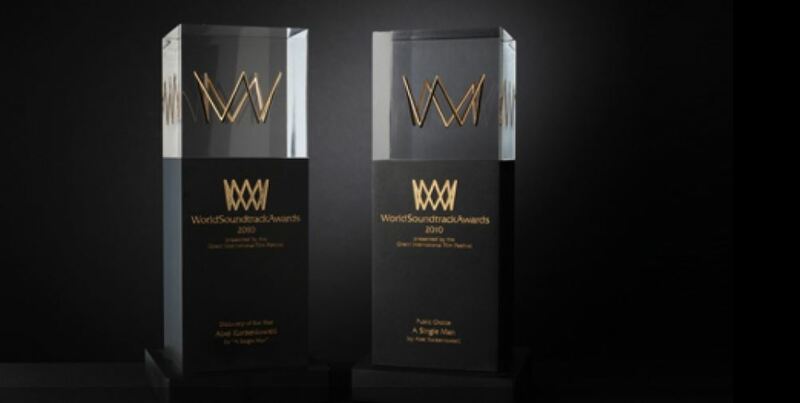 On 18 October, the annual World Soundtrack Awards Gala & Concert celebrates outstanding achievements in scoring music for motion pictures and TV series by handing out a total of eight awards including the Public Choice Award, voted for by film music fans out of more than 109 countries around the world. The spotlight shines on music more than ever during this 44th edition of Film Fest Gent. The 17th World Soundtrack Awards Gala & Concert welcomes a batch of award-winning international composers and central guests Terence Blanchard, Joe Kraemer and David Shire to Ghent. There’s also the Symphonic Jazz in Film Concert, such industry events as the Film Music Seminar and WSA Industry Day and a close collaboration with arts centre Vooruit exploring the fringes of cinema and music. Among the nominees for TV Composer of the Year, Dave Porter (Better Call Saul), Rupert Gregson-Williams (The Crown), Mac Quayle (Mr. Robot – to be confirmed) and Kyle Dixon (Stranger Things – to be confirmed) will attend the awards night. Also joining are Academy Award and Golden Globe-nominee Dustin O’Halloran (Lion) and Justin Hurwitz (La La Land – to be confirmed), both nominated as Film Composer of the Year. Attendees Diego Navarro (Pasaje al amanecer) and Alejandro Vivas (El jugador de ajedrez) are in the running for the Public Choice Award, while Discovery Award nominees Michael Abels (Get Out), Dan Jones (Lady Macbeth), Rael Jones (My Cousin Rachel) and Hauschka (Lion) are coming to Ghent, too. David Shire (The Conversation, The Taking of Pelham One Two Three) will receive the Lifetime Achievement Award during the WSA Gala, which is followed by a film music concert, concentrating on contemporary jazz in the soundtrack scenery. Central guest is Terence Blanchard, known for his long-running collaboration with director Spike Lee (Malcolm X, Clockers), of whom a selection of his jazz soundtracks has also been compiled on this year’s compilation album. The concert also includes music by Joe Kraemer (Mission: Impossible – Rogue Nation, Jack Reacher). Several of the nominees and prize winners will also be present during the WSA Q&A + Meet & Greet on 19 October. The Q&A, moderated by conductor Dirk Brossé and artistic director Patrick Duynslaeger, is followed by a Meet & Greet session with the composers. Also on 19 October, the Symphonic Jazz in Film Concert will honour the best symphonic jazz soundtracks of the past century. During this true Classics Night, Brussels Philharmonic and Brussels Jazz Orchestra will be joining forces to perform jazz scores from such films as The Pink Panther, Bullitt, Chinatown and A Streetcar Named Desire. This year, Film Fest Gent comes to a close with the screening of Grace Jones: Bloodlight and Bami, part of the Sound & Vision section of the festival. Presenting the best documentaries and feature films on music, this programme includes films about John Coltrane, Chavela Vargas, Morrissey, Paul McCartney, Tangerine Dream and Ryuichi Sakamoto. You can follow the WSAwards playlist on Spotify.